A science-fiction RPG title based on tabletop role-playing game Cyberpunk. Cyberpunk 2077 is a RPG game from the CD Projekt RED studio, the famous developers of the Witcher series. As the title itself indicates, the action takes place in a futuristic world and the entire production has been created in a science-fiction setting. 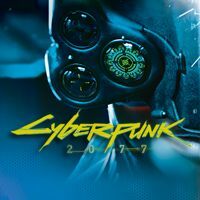 Cyberpunk 2077 is based on the popular role playing system known as Cyberpunk; Mike Pondsmith, its creator, has been actively involved in the development process of the video game in question. Cyberpunk 2077 features a very serious and mature approach towards the topic, drawing inspiration from productions such as Blade Runner. The title itself transports us to the year 2077 and presents us with a vision of the future world, grim and filled with intrigue; the action of the title takes place in the renowned Night City, which the fans of the Cyberpunk system will already be familiar with. Interestingly, the CD Projekt RED studio has decided to build the game around the open world gameplay model, which allows the players to freely explore the world and complete side quests whenever they desire. In Cyberpunk 2077 we are introduced to a multi-layered and extremely complicated story, built with the aid of elaborate dialogs, which often require us to make impactful decisions; the scriptwriters have avoided simplistic choices between good and evil into the game, categories like these do not exist in the title. The combat system, character creator and the hero classes have been transferred from the original Cyberpunk system; we can develop our characters in a variety of ways and acquire dozens of upgrades (e.g. implants and body modifications). The amount of available equipment is obscenely large and portrays the gradual technological advancement of the human race; the title uses a streamlined version of the Red game engine, which has also been used in The Witcher 3: Wild Hunt. Having divided fans of the genre across the world, the now infamously bright-and-colorful Cyberpunk 2077 E3 trailer left everybody asking, ‘OK, so can it be both sunny and cyberpunk?’ The definitive answer is: hell yes. Cyberpunk 2077 – what to expect from an RPG made by the studio that gave us The Witcher 3? Although Cyberpunk 2077 has occupied a place in our minds for more than four years now, there’s literally no information pointing to what the new CD Projekt RED game is going to be. Still, there are sources allowing us to make certain assumptions.